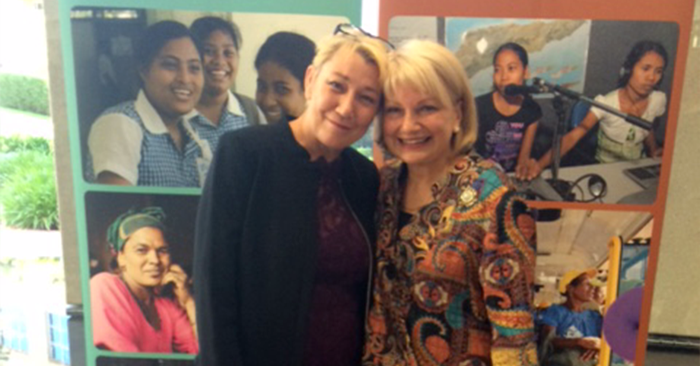 IWDA welcomes the appointment of Dr Sharman Stone as Australia’s third Ambassador for Women and Girls. We are delighted to see the continued commitment of the Australian Government to this important advocacy role for women’s rights. Dr Stone has played a leading role in championing the rights of women and girls, both in Australia and overseas, during more than a decade as an Australian parliamentarian. Yesterday, at the 2017 ANU Australasian Aid Conference, Dr Stone speaking for the first time in her new role, championed women civil society leaders in our region. We welcome this focus. We know that women leaders and the organisations they lead are crucial to making progress across the sustainable development agenda. We wish Dr Stone every success in her new role. We look forward to working with the Ambassador to ensure the empowerment of women and girls is at the forefront of Australia’s foreign policy.